Shrivardhan is a quaint town which is located in the Raigad district of Maharashtra and is well known for its beaches and the shrine of Laxminarayan. The town is also well known as the land of the Peshwas as the first Peshwa Balaji Vishwanath hailed from here. The town is renowned as a historically and religiously significant destination. According to legends, Arjuna the Pandava is said to have visited the town during his pilgrimage. It also finds its name mentioned in the travel accounts of various European travelers, Ziffardan is one amongst them. Also read: What is the best itinerary of Konkan bike trip for 4 days from Pune? By Air: The nearest airport is the Chhatrapati Shivaji International Airport at Mumbai which is located at a distance of 195 km from here. The airport is well connected to all the major cities across the country such as Delhi, Bengaluru, Chennai, Hyderabad etc. By Train: Located around 47 km away from here, Mangaon is the nearest railway station, which is connected to the major cities of Maharashtra. It also is linked to cities like New Delhi, Bengaluru, Thriuvanathapuram, Chennai etc. By Road: One of the best ways to reach Shrivardhan is by road. The town is well connected by roads and there are regular buses which operate from major cities to Shrivardhan. The total driving distance from Mumbai to Shrivardhan is around 187 km. 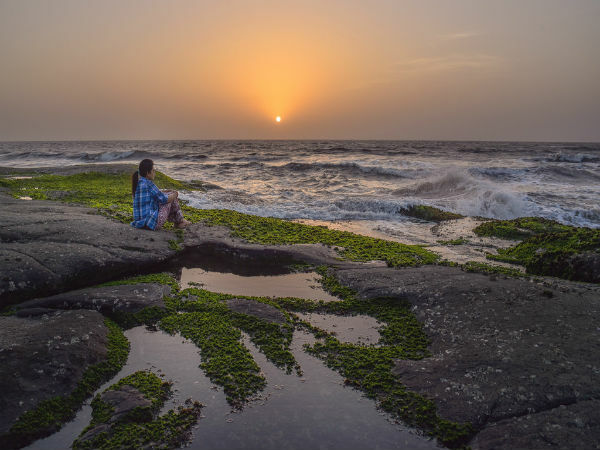 Best Time To Visit: Shrivardhan is a year around destination, however, the months from October to March are considered to be the best months to pay a visit to this beach town. One can reach Shrivardhan from Mumbai on road with a total travel time of almost 4 hours. The roads from the city of Mumbai to Shrivardhan are well maintained, which enables one to cover the distance of 187 km in no time with a short stop at Kolad for some refreshments and to stretch oneself up. Kolad is a place which is considered a paradise for the lovers of adventure sports. The place is a one stop destination for white water rafting along with a brilliant cover of greenery which is added on to by waterfalls and dams. The Tamhini Falls is one of the major attractions here, the falls offer a panoramic view of the entire valley and one could also grab the opportunity to sight a large variety of birds, most of whom are migratory ones from various parts of the globe. Shrivardhan is perfect mixture of history, spirituality and a vast seashore. The most prominent attraction here is the Shrivardhan Beach, which remains unspoilt, clean and less crowded in comparison to the various other beaches in Diveagar and Harihareshwar, which are located at a very close proximity from here. For those who are interested in spirituality as well as history, without second thoughts head straight to the 700 odd year old Laxmi Narayan Temple which is a perfect example of the Hoysala style of architecture. Another well-known temple here is the shrine of Kushmeshwar which is well known for stone carvings and is located amidst the Kushmeshwar Hills. One would come across the recently renovated home of the third Peshwa Balaji Bajirao which was originally constructed in the year 1750. Along with it one can also find a statue of Peshwa Balaji Vishwanath, which was installed in the year 1988 in honour of the Peshwas of the Maratha Empire.